If you are short on time, but still want to see the Niagara Falls, all you need to do is to read on. Below, we have put together the perfect itinerary for travelers who do not have much time available. You are not going to be in the area long, so why not take the chance to really treat yourself and stay in a top-class hotel room? You can book a great one with a view of the waterfalls on this website. On your first day, take a boat trip that takes you right up to the very base of the waterfalls. This really is the best way to experience the full power and majesty of this spectacular natural wonder. 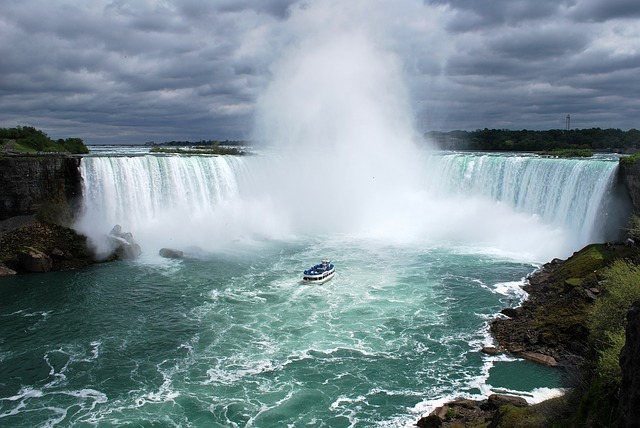 If you are not keen on boats, you can still get close to the waterfalls, by taking the Journey Behind the Falls tour and accessing the walkway. You should also have the time to see the Falls from above. If you are not on a tight budget, a helicopter tour is a great option. For the more adventurous amongst you the MistRider Zipline is fun and gives you a panoramic view of the entire Horseshoe Falls. During the afternoon, you should have the time to explore a little on foot, before taking the time to treat yourself to a nice dinner. A lot of people like to book a table at the Skylon tower restaurant. It serves fantastic food and provided you pre-book you can enjoy your meal looking out over the beautiful falls, which are lit up at night. If you are visiting between May and September, every Friday and Sunday you can enjoy a spectacular fireworks display. The Falls look simply stunning when they are lit up this way. 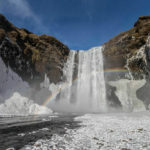 The fact that the Falls has been a tourist destination for so long and that they are located in an area of natural beauty means there is a lot more to do and see. A lot of tourists particularly enjoy the 1.5hr guided bike tours that take people around Niagara-on-the-Lake. Visiting one of the nearby wineries is interesting and gives you the chance to enjoy a light lunch with a glass of wine. The lavender fields are also well worth a visit and you can easily pick up a nice gift for a friend or relative. If you are a nature lover, you can skip the above ideas and spend the day in the Ball´s Falls Conservation area in Jordan. There you will find some really interesting interactive displays and exhibits that teach you about the area´s wildlife and fauna. If you are staying a 2nd night, take the time to take in the show at the Greg Frewin Theatre. This venue has a reputation for offering Vegas-style magic shows as well as the occasional concert and variety shows. Dinner packages are also available. If you want to check out the performances and buy yourself a ticket, you can do so here. During a third day, do something really different and touristy. A visit to Ripley´s Believe it or Not attractions, a tour of the upside down house or visiting the amusement park are all fun ideas. They can all be done in a few hours so are ideal for doing in the morning before you travel to your next destination.